A project progress meeting was held at OGCIO on 6 Aug 2010, well attended by the project stakeholders. Group photo of project sponsor, project team and project stakeholders at the progress meeting. 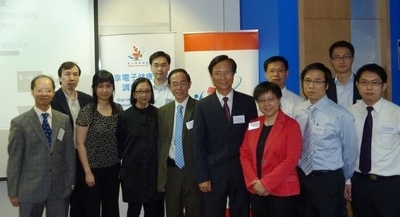 With the formation of the Regional OC in January this year, a Local Organizing Committee for the Greater China eHealth Forum 2011 was formed with its first meeting held on 9 July 2010, at the Department of Health. Dr Wong Chun Por, Co-Chairman of eHC Executive Committee and Dr Cheung Ngai Tseung, CMIO of HA were the Chairman of Local OC and the Chairman of Scientific Program Committee, respectively. Other members of the Local OC include representatives from Hospital Authority, Department of Health, HK Doctors Union, HK Medical Association, HKSMI, iProA eHealth SIG and various NGOs and healthcare IT solutions providers. 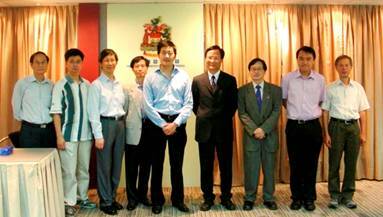 The preliminary event plan was deliberated and the second Local OC meeting will be held on 27 Sep 2010. As part of the Validation Platform (VP) project sponsored by OGCIO, a survey on “Readiness for eHealth Records Sharing” was conducted by the eHealth Consortium (eHC) from May to June in 2010. 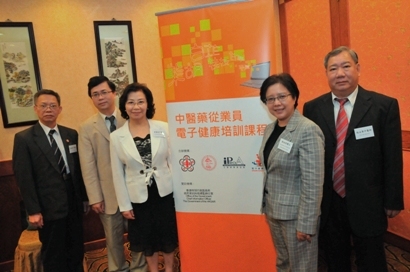 With help from Hong Kong Doctors Union (HKDU), Hong Kong Medical Association (HKMA) and Hong Kong Society of Medical Informatics (HKSMI) on the distribution of questionnaires, 168 responses were collected. eHealth Consortium would like to thank all survey participants for contributing their views to the survey on eHR Sharing, providing valuable information to further promote awareness and capacity building for eHealth development in Hong Kong. The inspiring address by Guest of Honour, the Honorable Mr Henry Tang, GBM, GBS, JP, is a testimony of iProA’s commitment in bridging digital divide and the sustainable growth and development of ICT industry and Hong Kong. 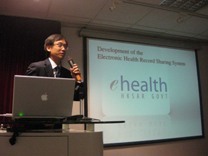 Mr Tang also mentioned eHealth Consortium’s contribution over the years. 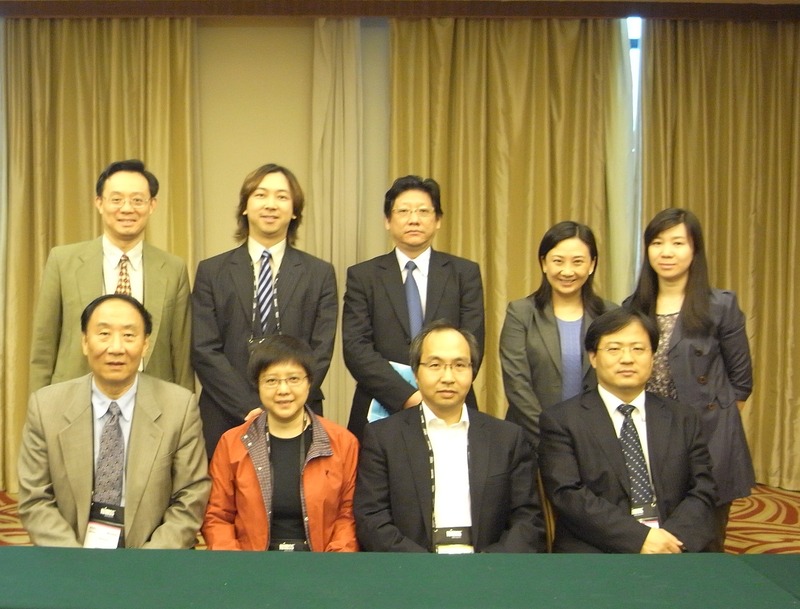 A Regional Organizing Committee for the Greater China eHealth Forum 2011 was formed earlier this year and the first meeting of the Regional OC was held in Beijing on 27 May 2010, at the Jiuhua Resort and Conference Center where the HIMSS AsiaPac Exposition and the CHINC were held. Chairman of the Regional Organizing Committee, Dr Heston Kwong, Assistant Director (Special Health Services) of Department of Health, the Government of the Hong Kong SAR, hosted the meeting where preliminary event plan was deliberated. 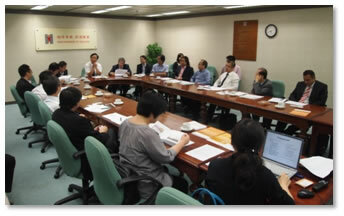 Other members of the Regional OC include representatives from Mainland China, Hong Kong, Macao and Taiwan. The MOU between CHIMA and eHCL was signed in Beijing on 29 January for the collaboration on Greater China eHealth Forum. 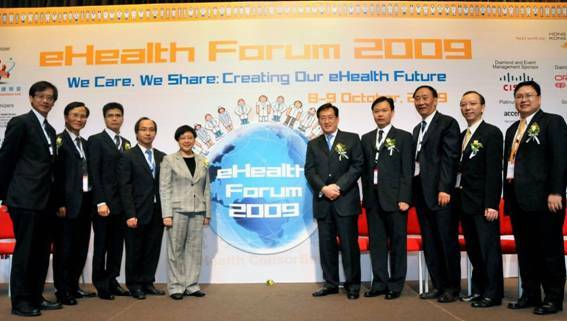 The first Greater China eHealth Forum will be held in Hong Kong in 2011; followed by the second Forum to be held in Beijing in 2012. 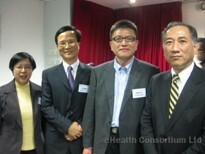 The second international conference eHealth Forum 2009 organized by eHealth Consortium was successfully held on 8-9 October at the Hong Kong Academy of Medicine. The objective of the two-day "intellectual banquet", as remarked by Dr Charleston Sin, Chairman of the Forum Organizing Committee, was to share ideas in promoting interoperability of electronic medical/patient record (eMR/ePR) systems and seamlessness in electronic health record (eHR) sharing and to gain a more in-depth appreciation of current and future development plans for eMR/ePR and eHR sharing system in public and private healthcare sectors. Healthcare is now being delivered by teams of practitioner serving patients over long periods. In Hong Kong, the government is developing a territory-wide, patient-oriented electronic health record (eHR) with the aims to improve efficiency and quality of care, improve continuity and integration of care, enhance disease surveillance and redress public-private imbalance. The symposium aims to promote the understanding of HL7 and other health data standards and to share ideas on the management and implementation of HL7 and other health data standards. 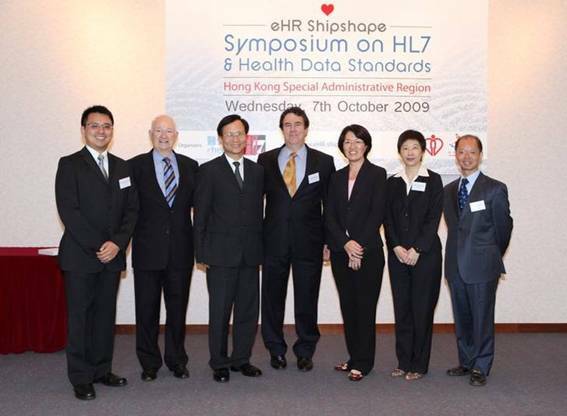 The eHealth Consortium has the honor to sponsor, together with the Hospital Authority, the “eHR Shipshape – Symposium on HL7 & Health Data Standards” organized by the eHealth Record Office of Food and Health Bureau and HL7, Inc. 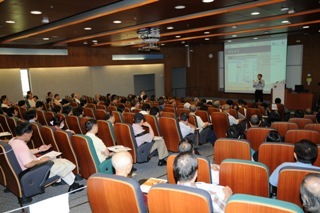 The Symposium, held in the Ruttonjee Hospital, was a full house with 150 participants. 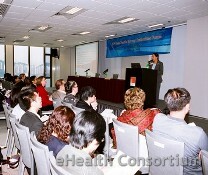 The eHealth Consortium has held a press luncheon and announced to the media the findings of the first-ever Chinese Medicine Clinic Computerization Survey in Hong Kong. The survey was conducted in July 2009, together with the Internet Professional Association (iProA), the Association of Hong Kong & Kowloon Practitioners of Chinese Medicine Ltd, and the Sin Hua Herbalists' and Herb Dealers' Promotion Society Ltd. This was one of the key events of the project, “eHealth Training for Chinese Medicine Practitioners” sponsored by OGCIO (Office of Government Chief Information Officer). The survey finds that 80% of Chinese medicine practitioners agree that computerization helps with the treatment of patients. Most of them who support the idea cite other reasons such as arousing public awareness of electronic health and projecting a positive clinic image. In addition, more than 80% of the respondents are willing to join eHealth or computer-related training courses. This shows that Chinese medicine practitioners are open in general and the vast majority of them would support the electronic medical development launched by the Government. Regarding what they would like to learn from the courses, many of them hope to learn how to surf the Internet to get the latest information on Chinese medicine research and the profession. They also want to understand the latest development of international electronic health and to have academic exchanges with practitioners from other regions. It can be concluded that Chinese medicine practitioners adopt a positive attitude towards clinic computerization. Quite a number of them are willing to take part in computer training courses; and for which, the eHealth Consortium is more than ready to play a more contributing role. As part of OGCIO’s 2008/09 Sector-Specific IT Training Programme (SSP), the eHealth Consortium organized a series of eHealth training lectures and hands-on workshops, together with the Internet Professional Association (iProA), Association of Hong Kong & Kowloon Practitioners of Chinese Medicine Ltd. (港九中醫師公會) and Sin Hua Herbalists' and Herb Dealers' Promotion Society Ltd. (新華中醫中藥促進會), to the CMPs in Hong Kong. The objective is to help CMPs by uplifting their IT capability and enhancing their readiness to participate in the Territory Wide eHealth Record Sharing System (TWeHRSS). In Aug and Sep 2009, eHC organized basic-level lecture sessions to over 200 CMPs in town. A questionnaire was given to the participants after the completion of the lectures. Among the attendees, over 70% rated good and excellent regarding the practicability of the training course material, 73% considered this training course to be able to arouse their interests and confidence in using computer; and over 88% considered to recommend the training programme to other CMPs. The lectures would be followed by a series of hands-on workshops, providing further opportunities for CMPs to acquire hands-on experience in trying out how IT can be applied in their daily tasks. 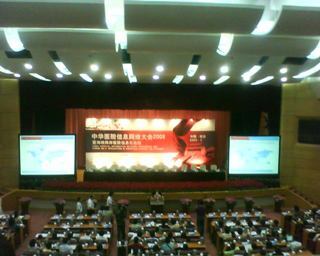 The press conference was held on June 29 to announce the survey result. The survey was conducted in mid-June when questionnaires were mailed to respondents via the Hong Kong Medical Association and the Hong Kong Doctors Union. A total of 342 completed questionnaires were returned. We found over 80% private doctors need more technical support and training during the implementation of medical computerization. 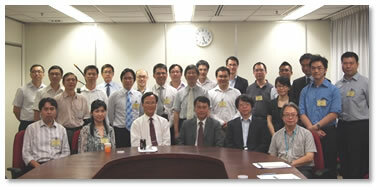 Dr CP Wong has delivered a talk about eHealth Evolution in Hong Kong to a group of professional engineers coming from HKIE (Hong Kong Institution of Engineers) and IET HK (The Institution of Engineering and Technology, Hong Kong Branch), more than 80 attended there. It started from the first IT/IS Strategy adopted by HA (Hospital Authority) back from 1992, until its evolution to the current CMS (Clinical Management System), a very comprehensive review of Health Informatics in the past 17 years. As of today, totally 40 public hospitals and 119 clinics are covered by the same CMS, all various patients’ electronic health records (eHR) could be shared among these institutions. It holds 9 Million records and has more than 3.5 Million accesses every day, and is believed to be the greatest similar system being used all over the world! On June 12, Dr N.T. Cheung and Dr Elizabeth Quat have given their speeches in the public forum “Electronic Health Record Sharing System from a Privacy Perspective” (as part of the 31st Asia Pacific Privacy Authorities (APPA) meeting), hosted by the Office of the Privacy Commissioner for Personal Data Hong Kong. 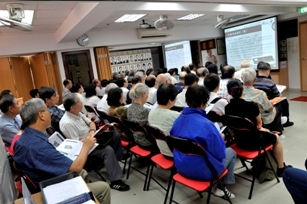 The forum was attended by around 200 interested persons. The China Hospital Information Network Conference (CHINC) on May 22-25, 2009, jointly organized by the National Institute of Hospital Administration (NIHA) and the China Hospital Information Management Association (CHIMA), was a valuable opportunity for experienced hospital managers, IT professionals and subject experts to share and exchange their knowledge through workshops, paper presentations, demonstrations and panel discussions. Dr Winnie Tang’s paper, titled “正走向全民的「電子健康記錄互通平台」” (“Towards a Territory-wide eHR Sharing System – the Public-Private Partnership Experience in HK”) depicts the drivers, challenges and roadmap of developing a territory-wide eHR Sharing System, and the establishment, role and achievements of the eHealth Consortium in improving Hong Kong’s healthcare system. Dr Winnie Tang, CEO of ESRI China (HK), as well as Chairpersion of eHealth Consortium, was invited as Speaker at the 5th Annual World Health Care Congress held in Brussels on May 13-14, 2009. Hosted by office of the Hon. 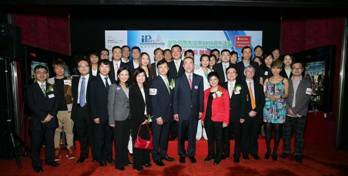 Samson Tam and co-hosted by iProA, the seminar aimed to provide a sharing platform for IT and respective industry players to explore how best we can enhance the competitiveness of such traditional industries through the use of IT.